Your seating card table can set the theme for your reception. 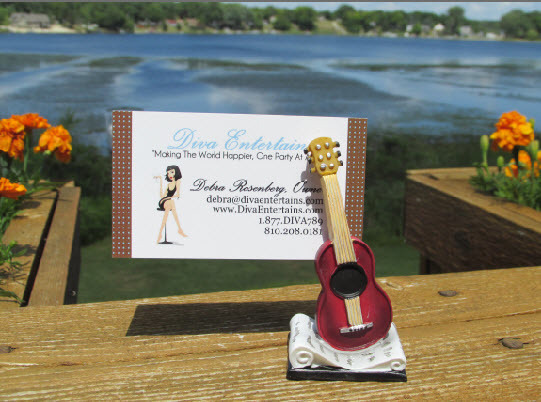 So if you are a guitar minded couple these acoustic guitar place card holders are a must. Customers will love being able to take them home at the end of the night to show off a favorite photo. Each guitar card holder measures 3" tall and have a solid feel.